Top recommended things to do in Da Nang, Vietnam, all the major sights and activities in and around Da Nang. 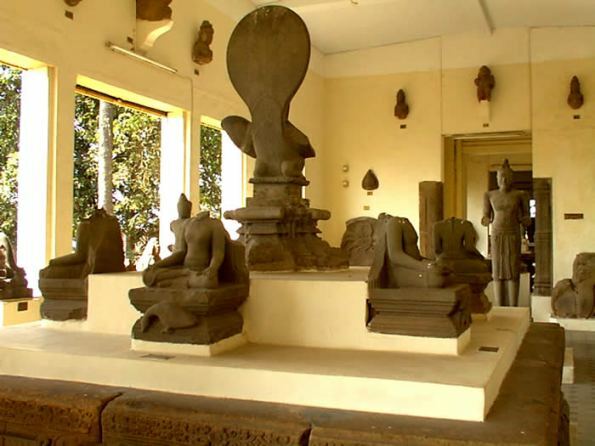 Built by the French with Cham typical architectural design, the Museum displays the sculptures from the Champa or Cham people who inhabited and ruled Central Vietnam from 192 AD to 1835. Sculptures and adornment, collected from temples and towers from all over the region, are in the age from the 6th to 17th century. These artifacts and works of art and deal with Buddhist and Hindu influenced materials. Gods, sacred animals, and legends were carved as altars, statues and other temple adornments. Almost 300 different works are on display inside and outside of the main building. 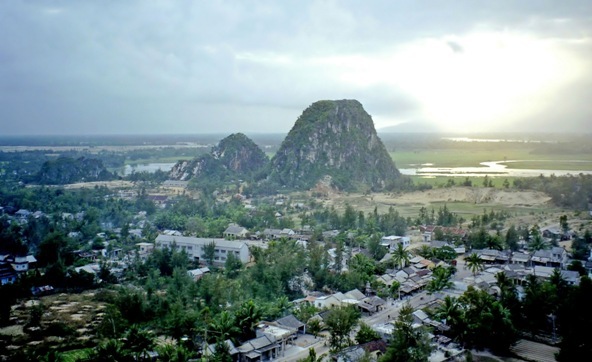 The five Limestone Mountains located southwest of Danang are named after the five elements by an emperor of Vietnam’s past. These mountains once held temples and even pagodas carved deep into the mountains. The French, Viet Cong, and Americans all left their mark on the mountains as lookouts and hiding places. Exploring caves, temples, and tunnels and even climbing up the only open mountain offer something different and beautiful to view. 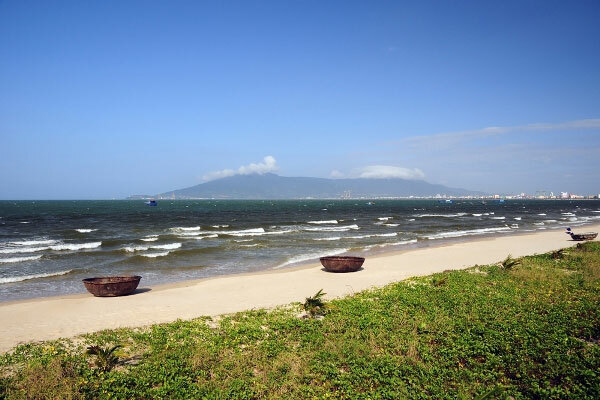 My Khe is the most popular beach in Danang. My Khe is a long beach with both public and private areas. Other beaches are Non Nuoc, Son Tra, Bac My An. These beaches are ideal for relaxing, and enjoying the sun and sand. Luxurious to basic accommodations are available to travelers of all budgets. There are also many delicious local seafood shop around. Some of the most striking architecture, culture and history present in Danang is located in its many buildings, especially its pagodas. Pagodas in Vietnam are traditional tiered places of Buddhist worship that hold special sacred articles. Worshippers come to pray and meditate within the confines of the pagoda and its surrounding areas. Hours: 5:00-11.30 a.m. & 1:00-9.30 p.m.
Phap Lam Pagoda is an active Buddhist place of worship. Home to an impressive golden Buddha statue, it is open to visitors and worshippers. The quietest time to enjoy the beautiful architecture and religious art is during the evening hours when other visitors have gone. Built in 1920’s, Pho Da Pagoda is also an active place of worship located in Danang. Rebuilt multiple times, it is the worship place for many lively Buddhist festivals throughout the year. Made famous in an episode of the TV show, Top Gear, the Hai Van Pass has now become a bucket list item for thousands of motorcycle enthusiasts (and amateurs). 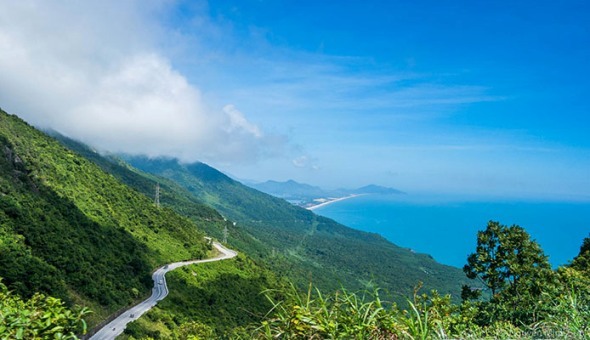 A 21km mountain pass between Da Nang and Hue, the road offers some of the most incredible ocean views in all of Vietnam. A new highway tunnel that has been built to bypass the road ensures that traffic numbers now are low, although the ride can still be quite technical; especially if you are inexperienced or the weather turns bad. Rent a scooter from in town and leave early in the morning if you plan on being back in Da Nang the same day. 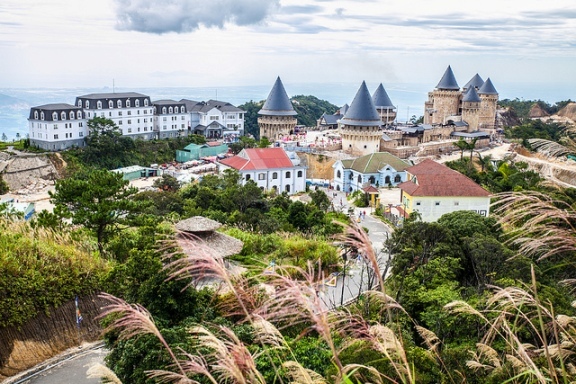 In terms of specific attractions, the Bà Nà Hill Station is probably the city’s biggest draw. Once a French-colonial retreat, it is now a hotel-resort complex. It is best accessed via the world’s highest and longest non-stop cable-car ride, a trip that sees you whizz over jungle, waterfalls and streams. Upon reaching the top, visitors can tour the recently-restored Debay wine cellar. Built in 1923, this unique arched structure is hugely popular with tourists – as is the opportunity to sample a few of its wines.